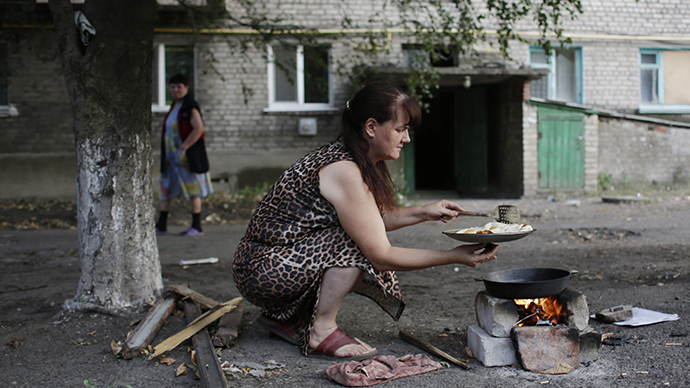 JNN 05 Aug 2014 Lugansk – Ukraine : The eastern Ukrainian city of Lugansk has declared a state of humanitarian catastrophe over a lack of medical supplies, electricity, lighting, mobile and internet communication. Some 250,000 civilians are unable to leave, the statement also says. Due to high temperatures and the damage to most community services’ cars, rubbish collection“ completely stopped,” which is why the city is basically “on the brink of an ecological catastrophe,” the administration said. This entry was posted in Europe and tagged Lugansk, medical supplies. Bookmark the permalink.